As the child grows day by day, you have a constant concern that it is not eating properly or that it does not tall as it should. 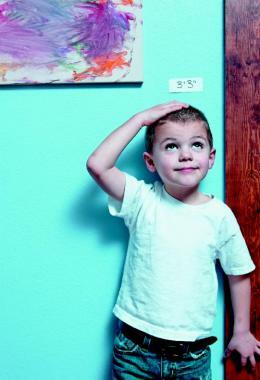 The height and weight of a child from birth to adulthood is an issue that concerns parents. Especially nowadays, where all experts point to the risk of obesity in childhood, many parents panic, making them repressed or making mistaken decisions about their child's diet. You do not have to go into this process. Your pediatrician is able to explain to your regular check-up of how your baby is growing and advising you on the issues of weight and height. We give you some useful information you need to know about your child's growth in grams and centimeters! The average weight of a normal baby at birth can range from 2.5 to 4.4 pounds. Before you even get out of the maternity ward, the baby will normally lose about 5-10% of its original weight, eliminating fluids that do not need it. In one or two weeks, however, it will recover. Breastfeeding babies may take a few days to start taking weight, as the mother's milk does not go down immediately, but the baby must find its rhythm in breastfeeding. In the first quarter of his life he has to take 500-800g. every month. In the second quarter about 600 grams every month. In the third quarter about 500 grams and in the last quarter of the first year about 300 grams. the month. My baby is getting fat! 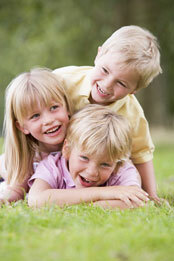 Infant weight is also dependent on pure genetic, hereditary factors. Two large parents are more likely to bring a heavier child to the world, but in general boys are born bigger than little ones. There are babies who get a lot of pounds at the beginning and stabilize along the way and babies that grow slowly but steadily. This is related to the rate of metabolism and the maturity of their digestive system. That's why you do not need to get the weight of the scale and the measuring tape from such a young age! A 12 month old baby has an average of 10.5 pounds and has a height of 76 cm. These limits are relative and can range between 8.5-12 kg for weight and 72-81 cm for height. 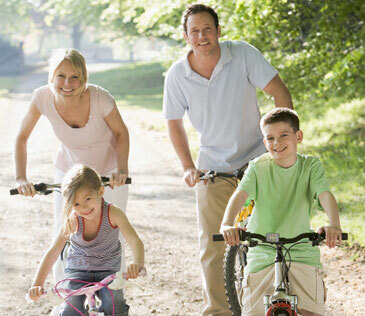 When the child takes his first steps, motion plays a role in burning calories. Babies double their weight at birth by the age of 6 months. When they are weighing their weight has tripled in relation to the birth. After 12 months, the rate attaining height and weight is slowed down, until it stabilizes. 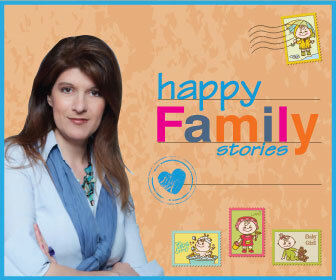 From the age of 4 years onwards your child develops at a steady pace. 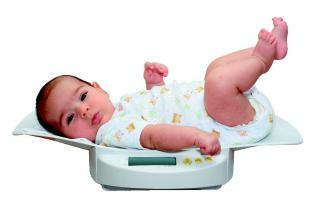 child's height, baby weightIn this phase it is important to take care of its balanced diet to prevent weight problems . After all, eating habits are learned at this age! It is important to invest in a diet rich in fruits and vegetables as well as in whole grain products. The next period that you have to wait for rapid changes in your child's development is, of course, puberty. 5 Asdvises to keep you calm! 1. 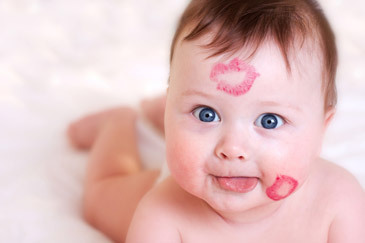 Do not compare your baby with other babies. Every child is unique and there is no reason to compare it. 2. If you are breast-feeding, the amount of milk is exactly what your baby needs. If you feed it with foreign milk, give as much as possible to your age. The quality of the formula is very good, but the extra amount of dust leads to obesity and problems in the baby's digestive system. 3. Remember that heredity plays a role. A baby whose father is tall and weak can tilt at a faster pace than the average. 4. Many 6 month old babies wear older clothes. This is no reason to worry that your baby is plump. On the one hand, heredity and on the other hand the differences in the sizes of the manufacturers' clothes contribute to this! 5. Do not develop theories about developing your baby based on the birth weight, since it plays a small role in the child's final weight. Birth weight is primarily determined by heredity and influenced by pregnancy factors, such as diabetes during pregnancy. What Should Eat a Child in order to Grow Properly? Until the sixth month, babies usually breastfeed, so you can be quiet that they get what they need to grow. From the sixth month onwards, when solid food enters its diet, you should not forget its calcium needs for strong bones and iron. Fruits, vegetables, meat, chicken, later yoghurt, cheese, fish and after 12 months of egg, in small meals in the day will provide him with everything he needs. And of course do not forget the milk! By the time they start, babies have a weight control system to determine their appetite and know how and when to eat. Afterwards, you are in charge!